PRODUCT DETAILS Carine Gilson: Ceres Collection – Creation, Exclusive, and Modern Craft: these are the watchwords of the design house. Carine Gilson shapes unique creations, silk overlaid with lace, made by hand in the manner of haute couture in her own studio in Brussels. For twenty-five years Carine Gilson's approach has connected the know-how and the values that create the ultimate in seduction. 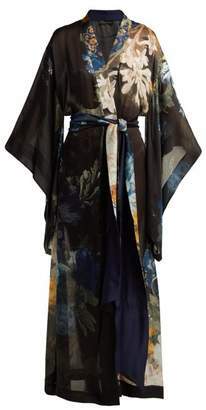 • Carine Gilson: Ceres Short Kimono • Incredible silk charmeuse short kimono. • Hand-crafted Chantilly lace border along sleeves. • Traditional kimono sleeves with open vents. 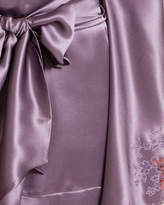 • Removable obi style waist tie in matching silk. • US Dress Sizing: S=2-4, M=6-8. • 100% silk. 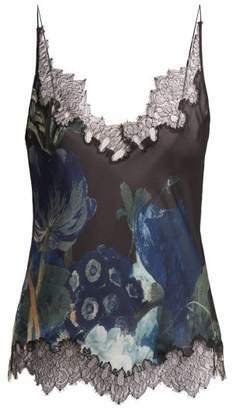 • Carine Gilson couture lingerie made in Belgium. Collection Details Learn More About Carine Gilson After graduating in 1990 from the celebrated Antwerp Royal Academy of Fine Arts in Brussels, Carine Gilson was only 23 when she bought a small sewing workshop. Fascinated by silk and lace, her creative desires were already working towards exceptional handmade pieces. She spent the next few years perfecting the art of making lingerie by hand, and launched the first Carine Gilson Couture Lingerie collection in 1994. Today Gilson continues to make fine art out of lingerie, giving it a top level of prestige that is known by lingerie connoisseurs around the world. The idea of lingerie couture was born out of Gilson's consideration of lingerie as a luxury to be treasured. 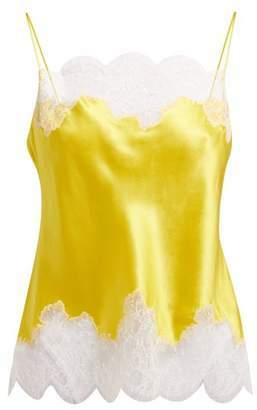 She selects the finest Lyon silk and the airiest Chantilly lace in a bold range of colors. The most thoughtful cuts are then made as expert seamstresses shape unique creations by hand in the manner of haute couture in the Brussels workshop. The tiny irregularities in shade or finishing are precious details that testify to their authenticity. With Carine Gilson, perfection is second nature. 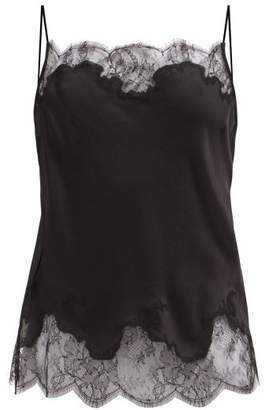 Hand-selected combinations of lace and silk make each piece of Carine Gilson lingerie unique. Designs are graceful and elegant on the body, as each piece is handmade to perfection. Nothing else quite captures the romance, glamour and sophistication of fine lingerie. Feminine details and timeless styles create flawless beauty that will always be treasured.